Massage chairs have many benefits from relaxation to joint and muscle pain reduction. Many doctors and physical therapists will advocate for regular massage therapy but what happens when you can’t afford to see a masseuse regularly? A massage chair in your own home is the answer and the money you save when you don’t have to go get a massage regularly will make the investment in a new massage chair worth it. 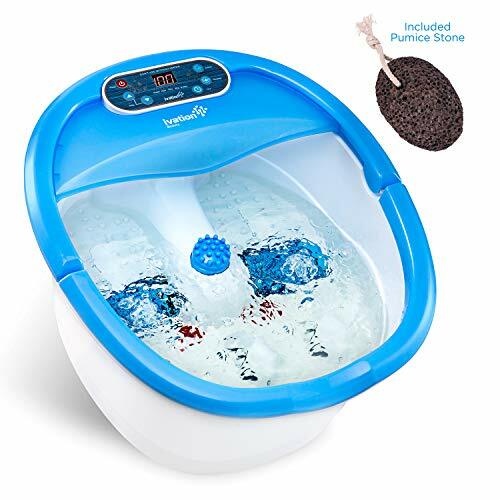 For more of my recommendations, have a look through these popular Women’s Workout guide links: Foot Spas, Foot Massagers, Handheld Massagers. We’ve reviewed the top rated massage chairs, followed by a comparison table and buying guide to help you decide on a chair that will work best for you. The following massage chairs have passed our rigorous testing and research. You will find everything from back cushions to full body massage chairs, so you are sure to find something that fits your needs. The Kahuna Massage Chair is our Editor’s Choice for the best massage chair and offers a custom massage with body scan technology. It will make sure the massage you get is tailored to your body size so you get the perfect intensity from the L-track and heat massage. With zero gravity technology available in three different stages and a reclining function, you can relax comfortably with an auto-timer you can set for up to 30 minutes. The programming ability allows you to set up your own customized massages so you always get the massage you want. With a full-body massage you can start or end your day with a relaxing massage. It only needs three inches of space from the wall to fully recline so you can save space in your home. This makes it perfect for smaller spaces, including apartments. The Snailax Massage Cushion can be used on just about any chair, including: office chairs, your own recliner, or even in your car. The vibration and heat work together with the flexible massaging nodes to give your back and hips/thighs a thorough massage. You can set an auto-timer for up to 15 minutes and the remote makes setting the levels of intensity as well as the timer a breeze. Even though this isn’t an actual reclining chair, we found that it was very effective in offering a relaxing massage and it saved the cost of a full chair, especially without having the room for another piece of furniture. It offers many features of some of the bigger items other than the full-body massage and a few other more luxury qualities. But being able to move it about and even use it in your car is a nice highlight and something we particularly liked when testing. We liked the Snailax as the best massage chair pad! The 3D Kahuna Exquisite Rhythmic Massage Chair was updated in 2017 to include a few more features such as Bluetooth speakers so you can listen to your favorite jams while relaxing as well as 6 programmable massages. Just like the LM6800 Kahuna Massage Chair featured earlier on this list, the LM-700 features body scan technology to make sure the massage is customized to your body weight and size. 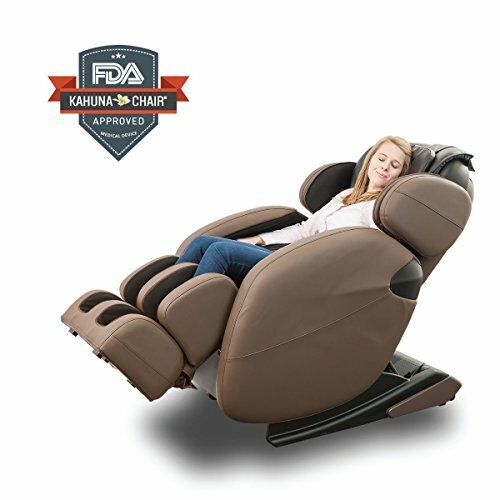 What makes this Kahuna Massage Chair unique is that it is registered with the FDA as a medical device. If you need a massage chair to help with back problems, this massage chair may just be covered by insurance or other programs to help you with physical problems or pain. We loved the space saving technology that allows this chair to take up little space whether in use or not and we felt was the best back massage chair. This Shiatsu Back Massager Cushion is another product registered with the FDA as a medical device but instead of being a full-sized recliner, it is a cushion you can place on any chair or couch that you’d like. This is a nice feature if you don’t have space for a recliner or if you need to take it with you to different places. You can customize your massage with different zones and different types of kneading. The TENKER Shiatsu Seat Cushion also has an integrated heat function with an auto shut off for safety. You can set the massaging cushion to automatically shut off at 15 minutes. The back of the cushion is made of a breathable mesh material so even with the heating function you won’t sweat through the padding. 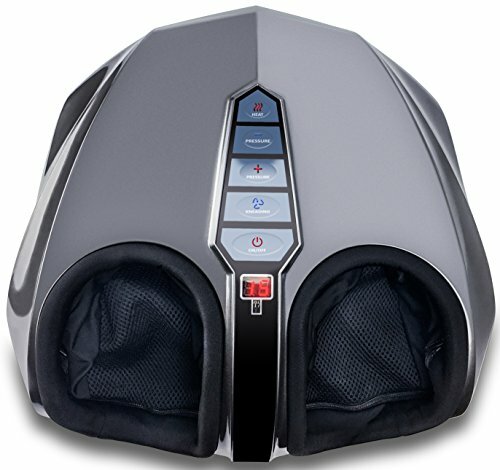 If your looking for the best portable massage chair, the TENKER is for you! 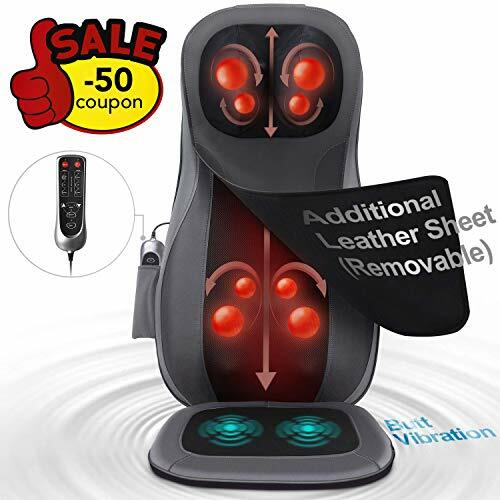 This is another Massage Chair that offers a zero gravity, massage, and heat experience but has also been updated with better features recently. You now have a remote you can operate with just one hand to easily control the 4 pre-programmed massages as well as the customized ones you can add yourself. There are three different levels of intensity when it comes to the airbag massagers and the massagers on the arms and calves now have lower intensity. The body scanning feature will allow the chair to customize the massage intensity for your size and weight. You get a deep tissue massage with slight stretching, plus lower back heat and zero gravity. The leather is soft and comfortable for a luxury experience. This is one of the best home massage chairs we tested as it had many features enjoyed by all, providing comfort and an overall relaxing experience. The twelve massaging balls in this HoMedics Shiatsu Massaging Chair Pad, you will get the most realistic massage for your back and neck, with a massage that feels the most like real human hands. You can adjust the height of the kneading fingers so you get the most customized massage possible out of a back and neck massage cushioning pad. You can also adjust to three different zones to target: full back, upper back, and lower back. Not only can you target zones, you also have your choice of 3 types of massage: percussion, kneading & rolling so there will always be the style of massage you need! The heat feature of the HoMedics Shiatsu Massage Chair Pad will automatically shut off after a 15-minute massage period for safety. You can use this anywhere in your home or even the car. The handy remote allows you to adjust all settings quickly and easily. Even though this massaging cushion pad only targets the back and neck, it does so very well and if you are looking for best shiatsu massage chair, this is the product for you. The 50 different massaging air bags in the Real Relax Massage Chair Recliner work together with the 4 pre-programmed massage programs as well as the zero gravity feature to give you the ultimate in luxury massage. It targets 8 different massaging pressure points and includes a heat function in the waist area to promote full relaxation. There is a foot roller feature that gives the feet a more thorough massage than many other massage chairs. We really liked the remote control feature that allows you to program your own custom massages. There is not much work to do to get the chair setup and the installation video makes putting the chair together a simple process. The features of this Real Relax Massaging Chair make it the best massage recliner, especially for those with back and joint pain or those just wanting to relax after work or take a deeper, more peaceful nap. Even without the massage features of the recliner this is a very comfortable chair but when adding in the heat and massage features you have an awesome chair! Now that you’ve learned about our favorite massage chairs, you need know how to choose the best one for you. There are certain features about massage chairs have that may be important to you or may not. Here we list the ones that you may find helpful, or not, and how to determine whether or not you need them. Once you make your prioritized list, it will be easier to choose the best massage chair for you. Each massage chair, or massage cushion, offers different types of massaging. Some use massage rollers and some use air bags. Some have heat or vibration as well. The type of massaging you choose will be completely up to. Some people prefer rollers over air bags and vice versa. You may want to talk to your doctor or physical therapist about what would help you the most if they are recommending a massage chair for you. Heat, and vibration, are available in some massage chairs or cushions. Some massage chair users find it helpful and some don’t. Many of them allow you to turn off the heat function if you don’t want to use it so if it something you may find helpful occasionally, it may be something you want to invest in just in case you may want it eventually. Cushions can usually be used in your own recliner if you have one. However, massage chairs usually have the function to recline as well. It is completely up to you. If you want to invest in a massage chair that offers a full body massage that also reclines, you may get a lot more benefit from your massage than just placing a massage cushion in your own recliner. But if you have your own recliner, you may not see the need for a new reclining massage chair. The intensity of the massage, whether it is airbags, rollers, or nodes may be important to you. Some find that they can be too intense and if they aren’t adjustable it can be a problem. On the flip side of that, the intensity may not be enough to give you the massage you are looking for. Some of the ones we’ve featured above have a body scan feature that will adjust, automatically, the intensity of the massage. Others have to be adjusted manually. Some lower-end massage chairs and cushions can’t be adjusted this way. Some massage chairs come with massage programs automatically installed for you and allow you to program your own as well, so you will get the customized massage you’d like. Others don’t have pre-programmed massages and you will only have the ones you program yourself. Massage cushions don’t usually offer this feature so if programming is important to you, a chair is usually your best bet. There are usually a lot of questions concerning massage chairs when it comes to both buying and using one. The following massage chair FAQs and their answers will help you understand the buying process and help you feel a little better about buying and using your very own massage chair. Q: Are massage chairs worth the investment? A: If you compare the cost of getting regular massages from masseuse versus the cost of using your massage chair regularly, the initial cost of the chair will pay for itself in no time at all. Plus, you can use your massage chair any time you’d like right in your own home without the drive or hassle involved. Q: How much should I pay for a massage chair? A: This is completely up to you and the features that you’d like to have in one. If you just need basic functions and no need for a full body massage, you can get away with a cheaper massage cushion. If you need a programmable full body massage chair that reclines, the budget should be a bit more. You also want to look for something with a good warranty, the features you need, a quick and easy assembly process, and anything else you may feel is important. Q: What are the benefits of buying a massage chair? A: There are many benefits involved in owning your own massage chair. You can use your massage chair for a relaxing massage chair any time you’d like, right in your own home. There are physical and emotional benefits to regular massages, plus you can control your massage feel, time, style and more. Q: What features are important in a massage chair? A: You want to consider features such as warranty when it comes to every chair. Other features will be more individual to what your own needs are, such as: the style of massage, whether it has programmable massages, heat and vibration, air bags or rollers, whether you can recline, full body or not, and more. It all comes down to personal taste and your budget. Q: Does my body type and size matter when buying a massage chair? A: With most massage chairs, your height and weight do matter. With massage cushions, your height is what matters most because if you are too tall, the massage pressure points won’t be in the right place and if it is supposed to target your neck, it won’t reach. With massage chairs that don’t have a body scanning feature that will adjust to your height and weight, you may not fit properly into the chair for the nodes and rollers to massage comfortably. If you are tall or bigger than average, the best option is a reclining chair with a body scan feature. When purchasing a massage chair, we have a few tips for you. These tips will make the buying process easier for you, making you better prepared to make the right decision for you. Let’s take a look at these buying tips. It is important to have budget in mind before you go shopping. You should know the average price range of massage chairs that have features you will need. However, you should know the maximum you are willing to spend so you won’t spend more than you are willing to spend, or can spend, on your new massage chair. Having a budget is important. Many chairs aren’t adjustable when it comes to the intensity of the massage. You want to make sure the intensity will be right for you, and not too much or too little. Make sure that it will give you the type of massage you are looking for, such as with rollers, nodes, air bags, or a combination as well. If you’d like heat and/or vibration, look for that as well. 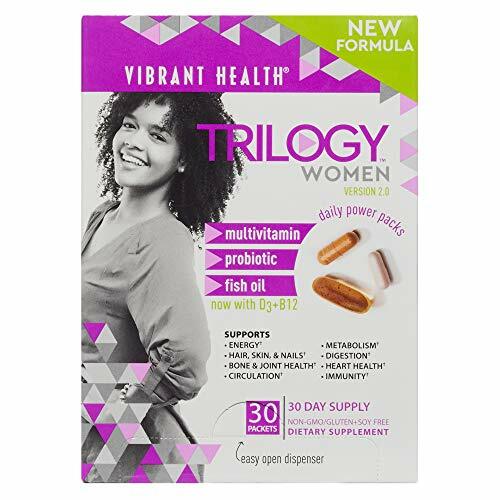 With any type of product such as this, you want to make sure you are covered with a warranty. All of the chairs we’ve featured here have a warranty, some longer than others. Be sure you are comfortable with the length and type of warranty the chair is covered with. If you would like an extended warranty, look to see if it is available. A massage cushion won’t take up much space, but a massage chair will. Some of the ones we’ve featured offer a space saving feature meaning it doesn’t need to be placed far away from the wall to use the reclining feature. This saves a lot of space and is important if you don’t have a lot of space to spare. Have the space set up for your chair before it arrives so you aren’t trying to scramble to make space once it arrives. You don’t want to buy a massage chair only to find out you want to buy one again later that has more features that you are missing. You also don’t want to find out you have features you aren’t using that you paid extra for. Research the features you want and would find helpful and find a chair that has those features. If more than one person will be using the chair, be sure to collaborate on the features that all of you will find helpful. A chair massager is an asset in any home. Whether you’ve had a stressful day at work and need to ease a tension headache or it was leg day at the gym and you need to relax sore muscles, a handheld massager can help. 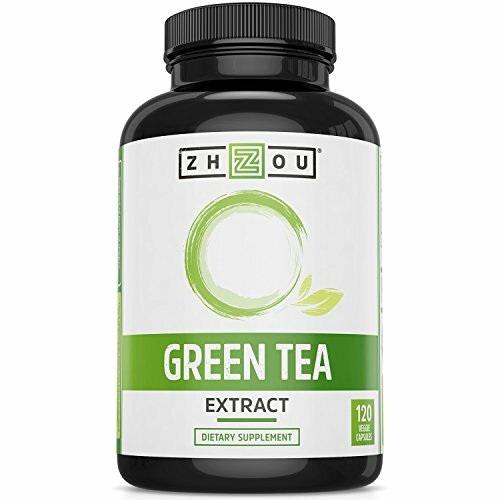 Whether it is a workout or a business meeting, maybe even family drama, that has left you with sore and achy muscles, it’s never a good idea to turn pain-relieving medications as a quick solution. In fact, a chair massager may even be more effective for both short-term and long-term pain relief. Even ibuprofen will need about 20 to 30 minutes to be fully effective when just 10 minutes with the right massager can do wonders. Many OTC pain meds will only keep you from feeling the pain but won’t help to loosen the tight muscles causing it so when the pain medication wears off, the pain comes back. Reach for a massager instead of the Tylenol. While nearly all chair massagers have adjustable power levels, some may not go down as low as you need them, or may not get as strong as you’d like. If you aren’t sure if you need a lower power level, try going with one that covers the low and mid-range levels. It is better to use something that has lower power and isn’t quite as effective than one that causes discomfort. Working out is notorious for giving us the post-workout aches and pains. These are usually caused by tight muscles. One of the best features of a chair massager is that it is specifically designed to loosen tight muscles and it makes it ideal for post-workout pain relief. A massager can be combined with either heat or ice depending on the type and location of pain you are feeling. A low power chair massager along with ice can help reduce swelling due to an injured muscle while heat and a mid-range power level can help to loosen muscles that are tight. 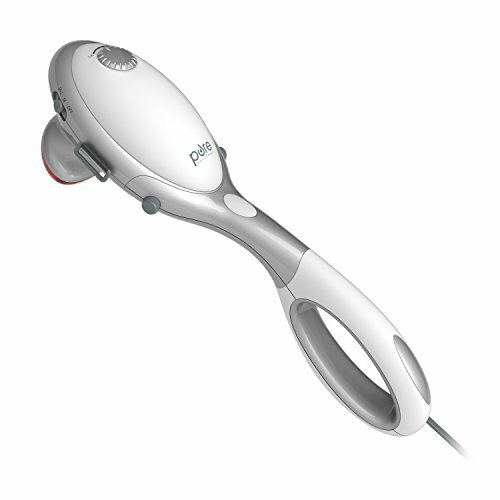 When coupled with ice or heat, a massager can be even more effective at managing muscle pain. Are you ready to enjoy a relaxing massage right in your own home with a massage chair? Any of the massage chairs or massage cushions featured here can help you relax after a hard day at work or when joint pain has you feeling uncomfortable. With all the benefits of a massaging chair, what are you waiting for? I hope this guide was helpful for finding the best massage chair to fit your needs. If you want to comment or recommend a chair I didn’t include, please use my contact form to get in touch. We found the Kahuna Massage Chair to be the best performing massage chair at a reasonable price.